There aren’t many preamps that engineers and producers feel could be the only one they would use to make an entire record; but, according to industry professionals, the all-tube MP-2A stereo preamplifier fits that bill. 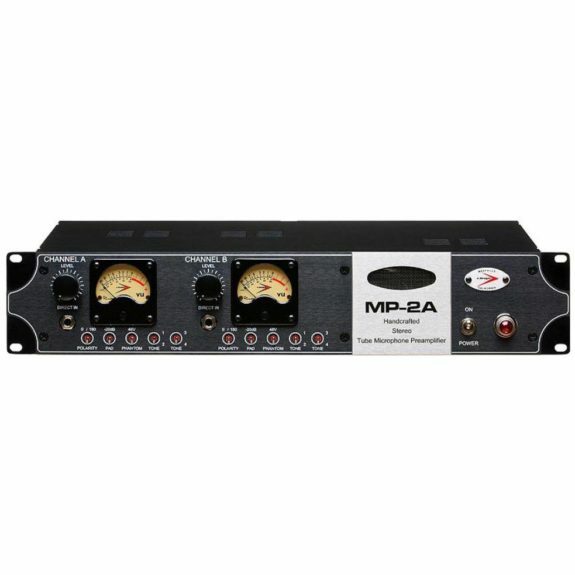 Designed to provide the versatility and sonic flexibility sought after by discerning professionals around the world, the MP-2A “works and plays well with others” – meaning that while some preamps can be finicky when it comes to certain mics, the MP-2A performs spectacularly no matter what kind of mic you run through it: ribbon, dynamic, or condenser….old school, middle of the road, or state of the art – MP-2A welcomes them all…but it doesn’t stop there! MP-2A is also an excellent instrument pre/DI, adding life and depth to basses, guitars, analog and digital keyboards. Built to audiophile-quality standards with a price tag well below other boutique preamps in or near its class, the MP-2A has no integrated circuits in the signal path – it relies solely on discrete components: the perfect combination of tubes (EF86 for the inputs, 6N1-P on the outputs), Audience capacitors, and custom Cinemag output transformers, and is meticulously hand crafted with point to point wiring. Each channel sports a -20dB pad, a pair of Tone switches providing four distinctive possible sonic signatures on each channel, and up to 60dB gain for use with even the most power-hungry ribbon mics. Cinemag input transformers coupled with custom-wound output transformers ensure the low noise top-quality performance expected from a top shelf preamp. 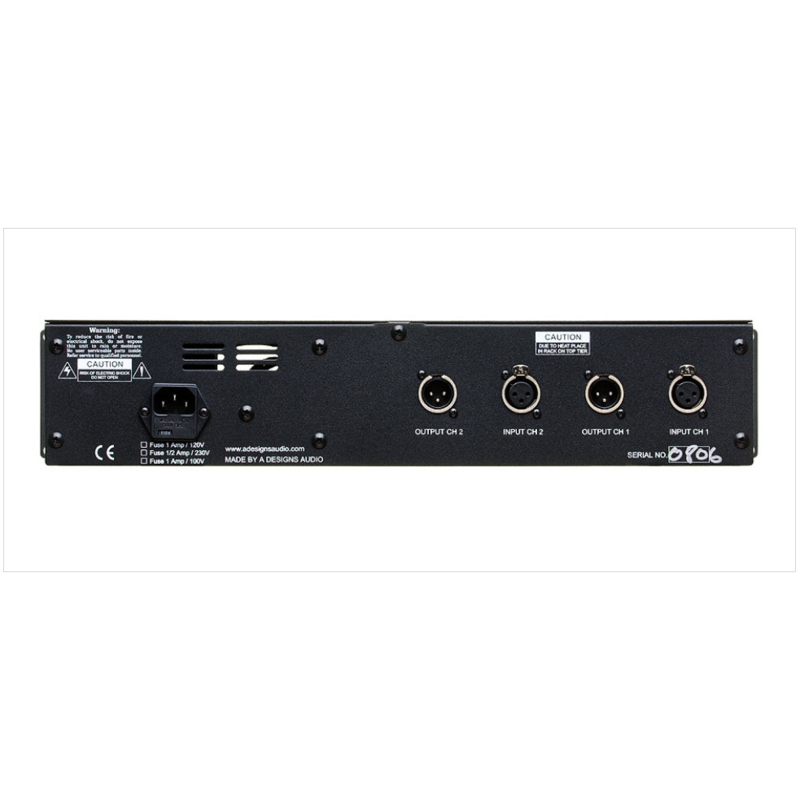 Additional features include balanced Neutrik XLR inputs, true VU metering, 48v phantom power, polarity switches, and front-panel Hi-Z input jacks. 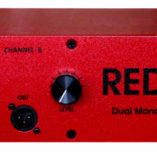 Many preamps tend to have only one narrow range, or “sweet spot”. Move past it…and the magic is gone. The problem with a small sweet spot is that you can’t always run the preamp there, since the strength of the input signal can vary dramatically from sound source to sound source. 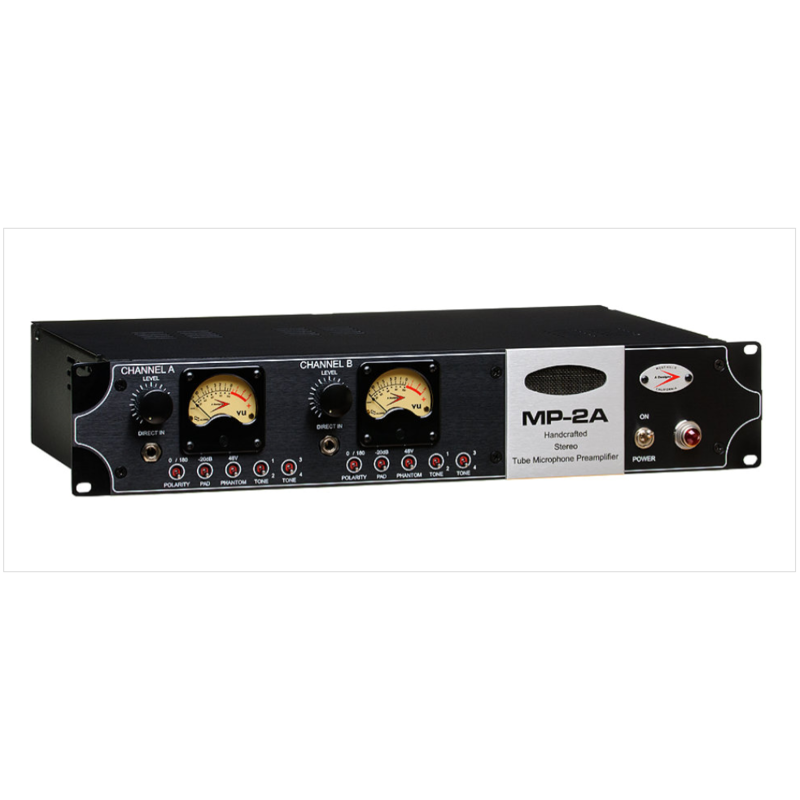 Not so with the MP-2A – its fixed-gain amplifier/output attenuator combo performs with a very high degree of consistency, delivering “the magic” across a much greater range of input signals. Polarity switches allow recording a stereo sound source out of phase in order to enhance stereo imaging, or taming undesirable bass via cancellation. 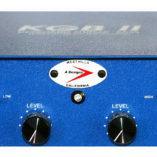 Factor in the unique tone switches that deliver a sonic palette of four unique flavours on each channel (what other preamp offers that?) and you can easily see what we mean when we say you could make an entire record with just this one incredibly versatile device. If you want to check out it’s potential, why not try asking www.mixbutton.com (a studio in West Hampstead) to run one of your tracks or stems through it? 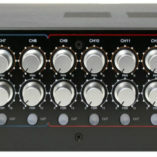 Selectable tone switches offer four sounds per channel. 60dB gain allows use of next-generation ribbon mics. EF86 input tubes/6N1P output tubes. Cinemag input transformers and custom-wound output transformers. 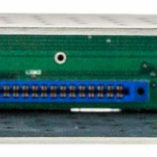 -20dB pad switch (per channel). Balanced XLR I/O and 1/4” direct injects. Custom-milled faceplate, solid vented metal frame (2U rack size).